Pipes are laid horizontally in trenches. The depth of the trenches will vary according to the design and soil condition, but is usually 1.2 to 2m deep to assure year round heat source constant temp. Horizontal loops require much more surface area than vertical loops. Trenches will need 50-80 metres of pipe per kilowatt (kW), with at least 5 metre distance between trenches with coils. Note, however, this will depend on a number of factors, including ground conditions. Most commercial and institutional projects using ground source heat pumps use ‘vertical loop’ systems, which consists of pipe inserted into vertical bore holes, less space is required. It dig into the ground, normally around 90 metres deep. It is common to have two bore holes to supply one home. The holes are roughly 200mm wide and must be kept at least eight metres apart from each other. “Slinky” is a variation of ‘Horizontal loop’. Slinky coils are flattened coils of overlapping piping, which are spread out and laid either horizontally or vertically. Their ability to focus the area of heat transfer into small volume, it reduces the length of the trenches, so reduced land area may need. A 10m long trench laid with a ‘Slinky’ coil will typically supply 1kW of heating load. 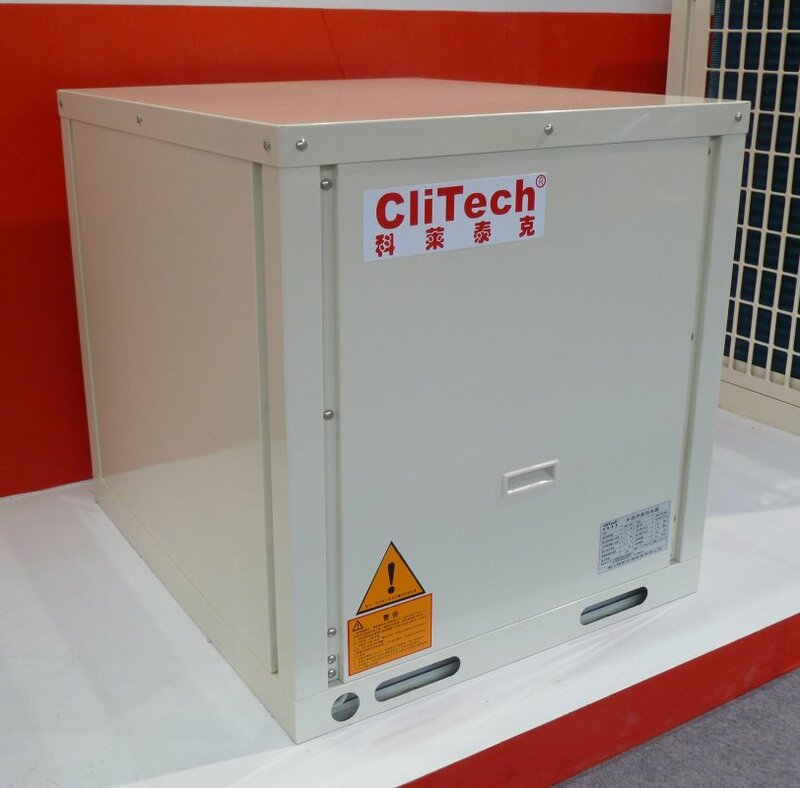 Unbelievable price on Ground Heatinng Pump work at cold countries in Foshan (China) company Foshan CliTech Air-conditioning Equipment Co., Ltd.